It started with my Liketoknow.it takeover! 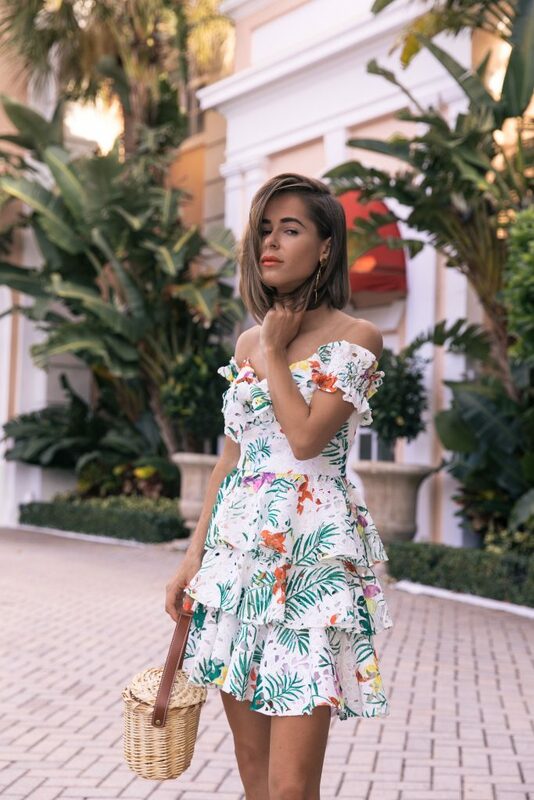 I knew it would be an incredible opportunity to show 2.5 million followers everything Palm Beach has to offer as well as my style so I went ALL OUT and shared 10 brand new outfits that I felt would resonate with many styles, budgets and body types. Yes, it was a TON of hard work but so worth it. Shout out to my photographer, @ChelsaeAnne, for staying up all night the day before the takeover to edit those pictures! Girl, you’re amazing. As I let that sink in, I remembered how it felt to reach my first 1k, 10k, 50k, 75k, etc. and how each time, my follower count on social media felt as if it was never enough. Crazy, right? I allowed “that” number to define how successful I was. And for the longest time, felt as if having a “certain following” would “establish” my credibility in this crazy fashion industry. Ironically, some of my favorite bloggers on IG have significantly fewer followers than me… like less than 30k. And I started to feel a little sick to my stomach because those icky feelings of “I’m not good enough…” started to resurface again… those same feelings I felt when I reached 1k, 10k, 50k, 75k, and so on… I paused. So for that reason, I will no longer celebrate “milestones.” And instead, celebrate having the most incredible, close knit community on IG. I will no longer let “that” number define me. What defines me is making an impact in someone’s life – inspiring them to dress differently, to live boldly, to go after their dreams, to believe in themselves and so on. My goal is to do a great job – every single day I “go to work.” I’m deeply passionate about what I do and aim to do my absolute best for you guys. I know, if I continue to do that, I’ll grow at whatever pace I grow but I will no longer define myself solely based on how many followers I have. …because I would rather live authentically. Be who I am. Do what makes me happy. Create what I love. Instead of racking up followers. So what. Maybe I don’t have millions of followers but at least I have the best community, in my opinion, on IG. And that alone brings me so much joy. Let me remind you that some of my favorite bands are underground bands. Some of my favorite designers are up and coming. Some of my best friends aren’t popular. And some of the best bloggers out there… don’t have millions of followers. So so so so much love to you guys! Well said and congrats on reaching 100k, yes it is only a number but you clearly work really hard and deserve all your success. I’ve been following you for a while, and was so excited to see your takeover! I love that you have such a unique sense of style. I always appreciate that you don’t just wear what everyone else is wearing. I admit I get frustrated when I don’t see the growth as quickly as I want, but I’m always inspired to see bloggers who have stayed true to themselves who have gone so far! Congratulations again! I love this post Stephanie! As a fellow blogger, it’s so easy to get wrapped up in the numbers and always comparing yourself and what you do to others. I love that you stay true to who you are and wear what you love regardless of whats “popular”. Keep doing you girl because you are an inspiration! Steph!!!!!!!! Huge congratulations to you love. I love this post and I have been following you from the beginning. You started blogging a month after I did, you were the T.J. Maxx July Maxxinista of the Month and I was the June one. I wanted to know who was after me. Once I saw your impeccable style and attention to detail I knew you were destined for great things in this crazy industry. I totally understand and agree with how you feel. I too have let that number “define” me, compare myself with people that started after me and think “Am I good enough.” And then think I’m crazy because all of the amazing things that have come from blogging aren’t on the surface. It’s not the quantity but truly is all about the quality. You put out some excellent work and have killer style. I would love to meet you one day, maybe at one of these RewardStyle events. Know that I am in your corner and always rooting for you. CONGRATS!!! LOVE YOUR UNIQUE STYLE!!! This was so beautifully written. Love you, Stephanie!